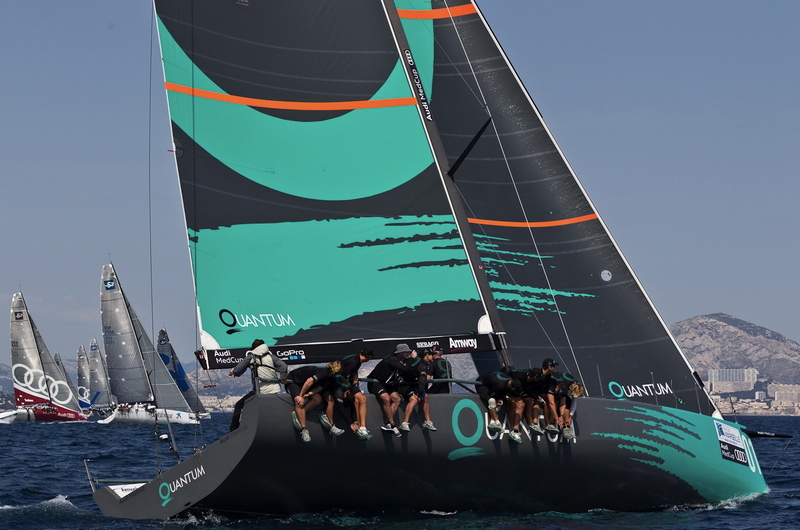 A second successive win in sub 10 knots breeze in today's first race for Quantum Racing sees the American boat extend their lead overall in the Marseille Trophy. The world champions lead at the windward mark ahead of Synergy but the Russians could only manage a seventh. Audi Azzurra Sailing Team made their best gains on the second beat, ticking off four places between the leeward mark and the second windward mark. 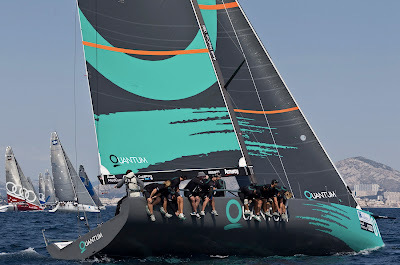 Synergy's slide was exacerbated when they fouled Tony Langley's Gladiator at the second windward mark, requiring them to perform two penalty turns. 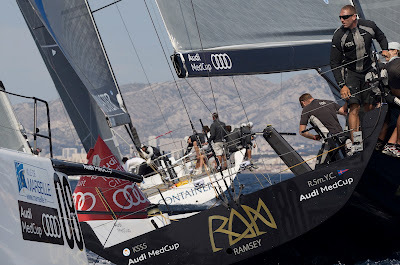 Audi Sailing Team powered byAll4ONE blew their spinnaker at the second windward mark. RÁN sailed a clean and composed race to finish second, while Audi Azzurra Sailing Team posted a solid third.